During the 1990s in Peru, the former President instituted a forced programme for the country’s indigenous population that resulted in approximately 350,000 women and 20,000 men being sterilised – many without giving informed consent. This crime against a generation was carried out under the auspices of eliminating poverty, and those affected are still seeking justice. The men and women who were sterilised remained largely unknown until, two decades later, a project called Quipu arose to spread their story. 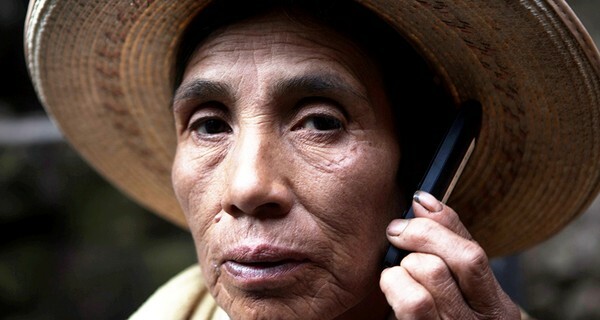 Quipu aims to give space and a voice to an indigenous population that still live largely in rural, remote areas without internet access, and in many cases are severely disadvantaged by not speaking Spanish. The project works with those sterilised, not for them, and instead of simply creating a video documentary has formed an innovative structure of support. Quipu blends together a wired telephone line infrastructure, where participants are encouraged to tell their story and support each other across communities, and a high-tech digital element of sharing these testimonies to an online archive. The archive contains moderated audio, and a transcription of ongoing conversations between those affected by the sterilisation programme. To give them a voice to the world, Quipu translates everything into Quechua (the indigenous language), Spanish and English. The aim of Quipu is to collect, organise and make available oral histories of a widely distributed crime conducted as a government’s health policy. Through shining a spotlight on a population’s suffering, the project hopes to support a campaign of recognition and reparation. Their plans run to opening up the project publicly at the end of 2015. Take a look at Quipu’s website, and help spread the word.